When we first started this blog, I wrote an article about organic crib mattresses and whether or not, as a parent, you should consider buying one for for your newborn baby. Now, there is mixed reviews about organic crib mattresses in the land of new parents. Some agree with me, others disagree stating that all mattresses are ‘pretty much the same’. From my experience and from from many millions of experienced parents all around the world, trust me when I say that not all crib mattresses are the same. There is a reason why there is so many brands out there and at different prices. I remember my mother telling me (before my first baby was born), she said to buy a good quality mattress, because Heather, it matters! My Mom Was 100% Right. When I started researching myself and testing them indepthly, I realized you can tell a quality crib mattress from one that isn’t. I mean, have you tried a cheap mattress then immediately tried a quality, higher priced one? Please tell me you noticed a difference? So why should it be any different with baby crib mattresses? It simply isnt. So the reason I am talking about quality is because generally the highest quality crib mattresses come in the form of organic crib mattresses. For me high quality = organic, as you truly know that the manufacturer that is making organic mattresses wants the healthiest and safest sleeping environment for your baby. I’ve spoken a little about my experience losing one of my children to SIDS on the site before, hence why I don’t take to this topic very casually. 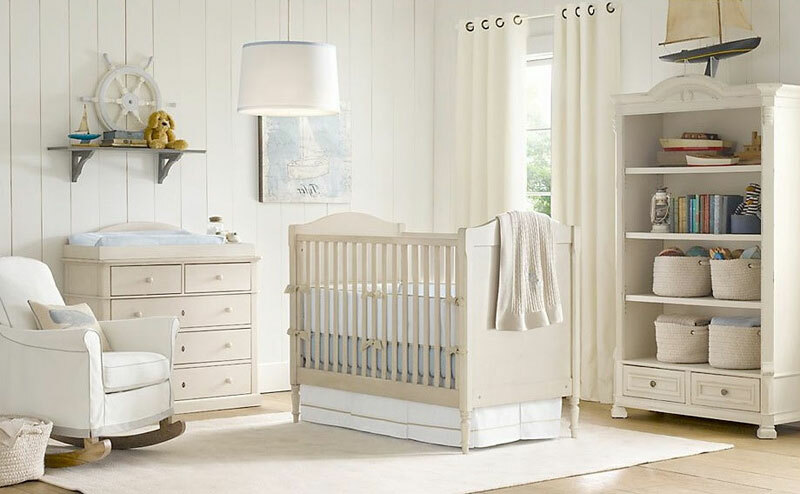 Ensuring a healthy and safe crib mattress is something I advocate quite strongly about, hence why I am here to day writing this blog post. So in reaction to one of my first blog posts about organic crib mattresses, I had quite a few Mommies and Daddies contact me on my recommendation as to an organic crib mattress I would recommend. So today’s blog post is a little review of the Natural Mat Coco Mat baby crib mattress, an organic crib mattress I highly recommend. 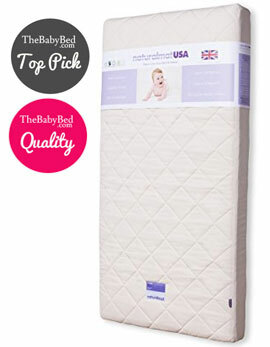 Naturalmat is one of the best options for your organic baby needs. If your budget isn’t on your mind and you’re a fan of coco coir then this would be another excellent choice. It’s quite an expensive crib mattress, but the coir is certified organic and the company sets very high standards as they will only get their coir from one place. Since it contains wool that has been soaked in eucalyptus, lemon and lavender extracts, it’s naturally resistant to dust mites and is hypoallergenic. It may not be completely waterproof but it is wool and that wicks away moisture pretty well and the cover is washable so at least you know if it gets too messy you can certainly wash it up. Coir and wool are both breathable but wool is also a natural insulator. 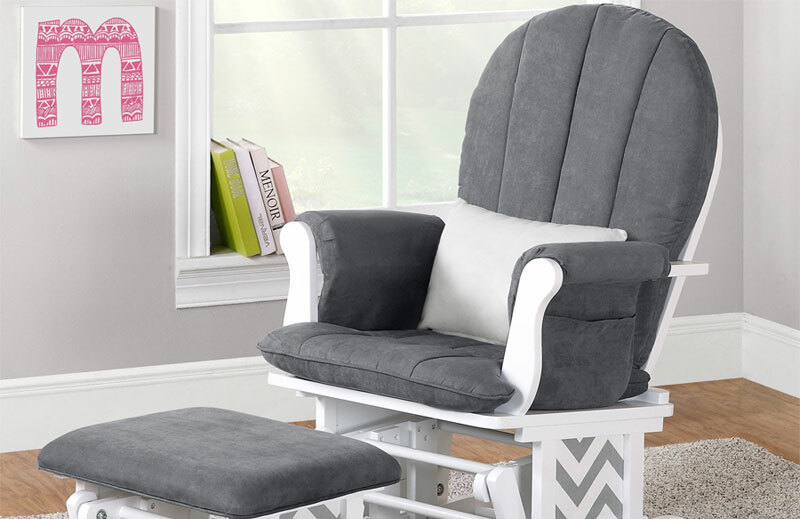 No more sweaty baby in the summer, and no more cold baby in the winter. What a lot of people don’t think of when they are looking into the way their baby sleeps is will the sweat pool around them and cause them a chill. You think if you have a fan they should be fine but if the material they are laying on isn’t so breathable they can still get pretty sweaty, which is why having the coir and wool fibers making up this mattress is a major plus. Like I said, wool is an insulator so it will keep the baby pretty cozy in the winter months. This mattress is awesome because it contains no plastics or a synthetic material which is so important when you’re shopping around for an organic mattress. Even some natural materials in plastics can be a potential allergy, but since it’s not waterproof and not as light weight, you might need to double up on sheets to make night changes easier. If you don’t want to spend the extra money on top quality mattress but still want organic at a reasonable price, then you can opt for the Naturepedic crib mattress which Linda has discussed here (#3). Buy the Natural Mat CocoMat & Get Free Shipping!